6363 S FIDDLERS GREEN CIR. Save the Date for the 2017 Book and Author Evening, organized by the Denver Alumnae Association Chapter of Kappa Kappa Gamma. Proceeds from the event benefit the Craig Hospital Alumni Scholarship Fund. 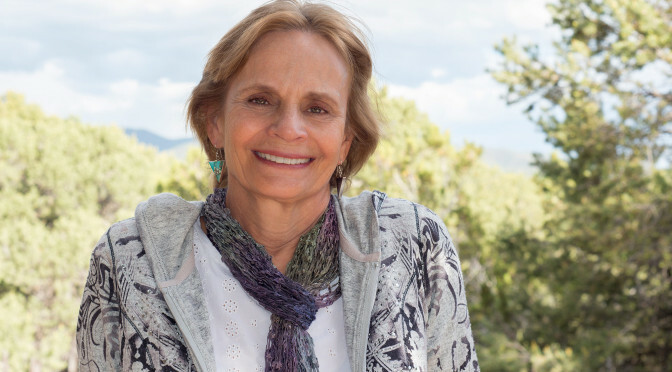 Anne Hillerman is delighted to continue the mystery series her father, the best-selling author Tony Hillerman, created beginning in 1970. Anne's debut novel, Spider Woman's Daughter, follows the further adventures of the characters Tony Hillerman made famous: Jim Chee, Joe Leaphorn and Bernadette Manuelito. Released by HarperCollins, the book received the Spur Award from Western Writers of America for Best First Novel. Her second mystery in the series, Rock with Wings, was released in May, 2015, and quickly became a New York Times best-seller. The third novel in the reinvigorated series, Song of the Lion, is set for release in April 2017 and takes Bernie and Chee to the Grand Canyon and Tuba City, Arizona while Lt. Leaphorn helps solve a murder with a clue from long ago. Anne also is the author of Tony Hillerman's Landscape: On the Road with Chee and Leaphorn with husband/photographer Don Strel. In collaboration with St. Martin’s Press she established The Tony Hillerman Prize for best first mystery novel set in the Southwest. She lives and works in Santa Fe with frequent trips to the Navajo Nation. Anne belongs to many writers’ organizations and serves on the board of Western Writers of America. In 2015, she was deeply honored to be invited by the University of New Mexico to present the annual Rudolfo and Patricia Anaya Lecture on the Literature of the Southwest . She is a frequent presenter at the Tucson Festival of the Book and represented New Mexico at the National Book Festival hosted by the Library of Congress. annehillerman.com. 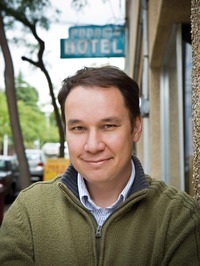 Jamie Ford is the New York Times bestselling author of Hotel on the Corner of Bitter and Sweet—which was an IndieBound NEXT List Selection, a Borders Original Voices Selection, a Barnes & Noble Book Club Selection, Pennie’s Pick at Costco, a Target Bookmarked Club Pick, and a National Bestseller. It was also named the #1 Book Club Pick for Fall 2009/Winter 2010 by the American Booksellers Association. In addition, Hotel has been translated into 35 languages. Josh Chetwynd has worked as a staff reporter for USA Today, The Hollywood Reporter and U.S. News and World Report. His writing has also appeared in such publications/websites as The Wall Street Journal, The Times (of London), Chicago Tribune, MLB.com, Harvard Negotiation Law Review, The Observer Sport Monthly, and Variety. He’s a two-time winner of the Los Angeles Press Club Award for best newspaper article written by a correspondent (1999 and 2000). “British Baseball and the West Ham Club: History of a 1930s Professional Team in East London” (McFarland & Co., 2007). It was co-written with Brian A. Belton.